Home » Appetizers • Beef • Chicken • Featured • Fish • Lamb • Main Dishes • Pork • Recipes • Side Dishes • Treats » Comfort Food: 40+ AIP-Friendly Recipes! 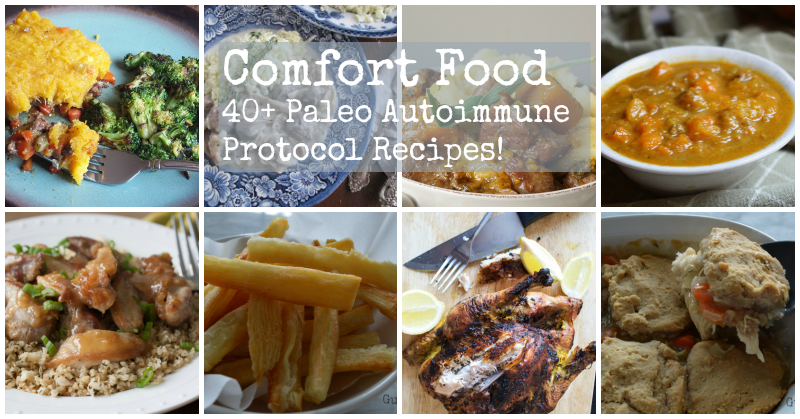 Comfort Food: 40+ AIP-Friendly Recipes! 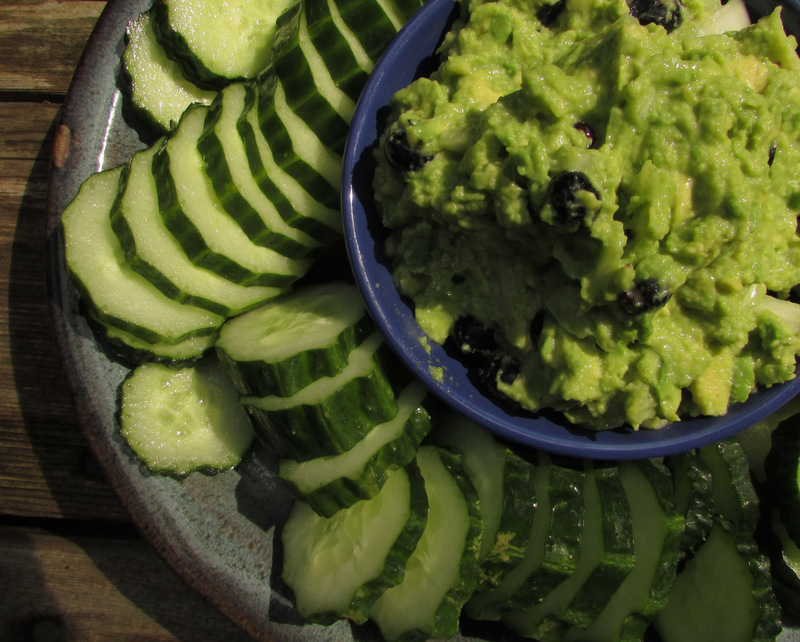 Is “comfort food” compatible with a healing diet like the paleo autoimmune protocol (AIP)? I asked some of my blogger friends who create recipes that are compliant with the protocol for their perspective and got the resounding answer… YES! They buck the conventional wisdom that the nostalgic and sentimental dishes we consider comforting might be good for our psyche but never good for our health, and generously shared their favorite AIP-compliant comfort food recipes with me to prove the point. 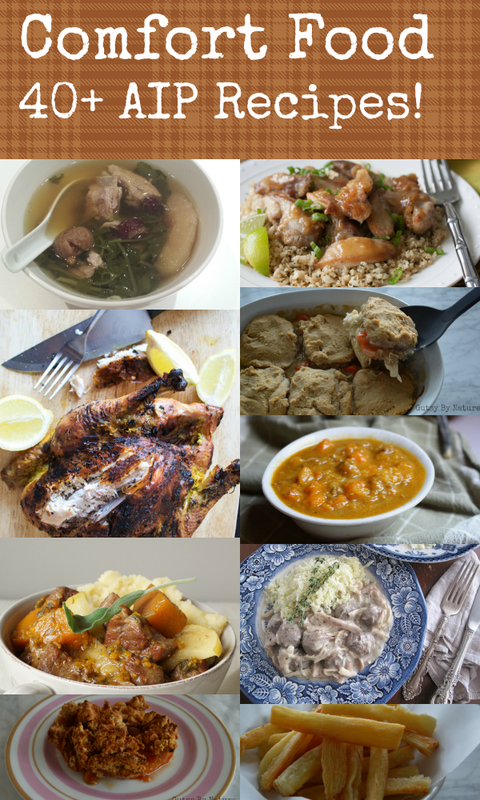 Click here to jump directly to the AIP comfort food recipe links, or scroll down to read their stories too! Bethany, who told me that she would call 90% of the recipes on her blog Adventures in Partaking “comfort foods,” says they are foods “that don’t require lots of time in the kitchen, don’t have to be perfectly plated to eat them and rarely need a fork and knife.” She went on to say that “comfort foods are almost always best eaten in a bowl, often with a spoon, and could just as easily be enjoyed in front of the TV, by a fire, on a patio, or at the dining room table.” She offered her recipes for Veggelicious Shepherd’s Pie and Caramelized Banana Pudding as perfect examples of a savory and sweet dish that meet that definition completely. 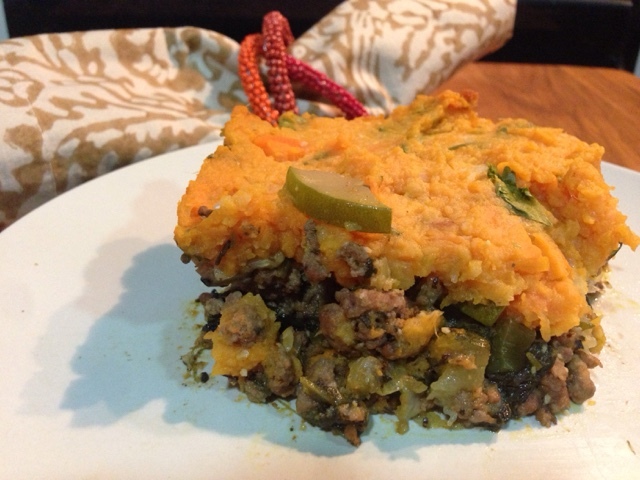 Alex, the blogger behind the blog Don’t Eat the Spatula, thought along the same lines as Bethany and shared another version of a Shepherd’s Pie, saying “this meal defined my childhood. 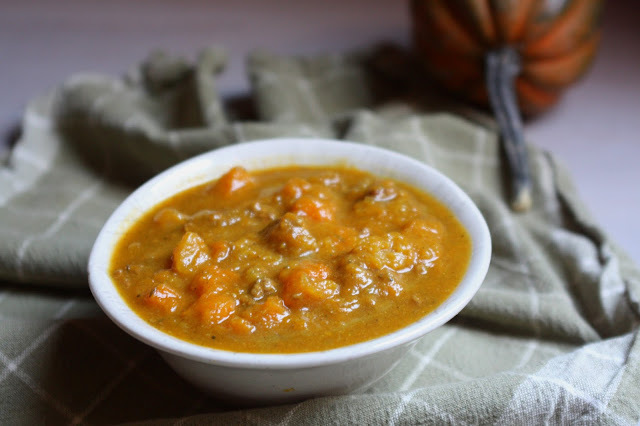 It was the meal I always wanted for every birthday meal because it just made me think of home and family and that is why it is one of my favorite comfort meals.” Alex also named chili as a favorite childhood comfort food, especially when the weather turns cooler, and offered this recipe for Three Squash Beef Chili as a delicious AIP alternative. 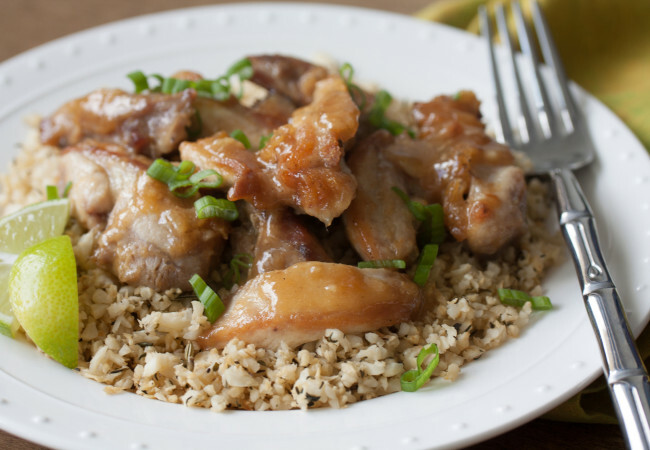 Martine, who runs the gorgeous blog Eat, Heal, Thrive, shared her recipe for Ginger-Lime Sticky Chicky and said it is “super comforting because it’s reminiscent of tasty takeout so there’s some nostalgia there.” Like me, Martine has Crohn’s disease and she added that this dish is also literally comforting because it “contains no nasties”and therefore doesn’t upset her GI tract. She also added that occasional treats like these marshmallows bring comfort, especially when Mom makes them! Proving the point that one’s definition of comfort food is highly dependent on the foods of your childhood, Jo of the British-based blog Comfort Bites, said that she really missed the Indian spices of a curry. 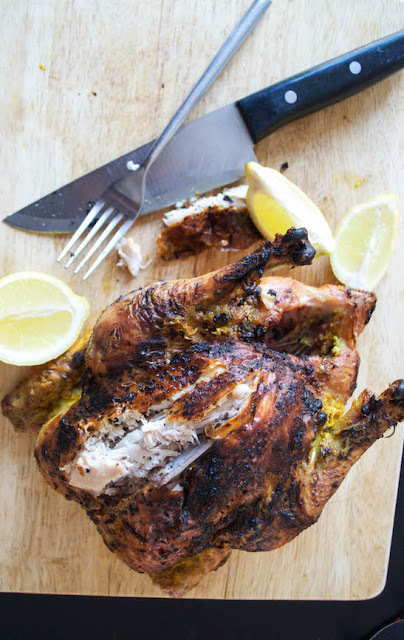 She combined those flavors with a good roast chicken, which I agree is the ultimate in comfort, to make this delicious AIP-friendly recipe for Indian Spiced Roast Chicken. She also shared a unique and comforting recipe for Blueberry Topped Baked Sweet Potato and told me it was great eaten with a spoon on a rainy day! It is no surprise to me that a busy working mom like Emma, also known as The Bacon Mum, would say that for her it is “food that takes minimal time to prepare but is there for you at the end of a long day, when you are out of energy and just want to eat without spending heaps of time in the kitchen.” Her nightshade-free BBQ Apple Ribs, Braised Red Cabbage, Pork and Butternut Stew, and Teriyaki Pork can cook all day in the slower cooker while you are doing something else and her Beef Bourguignon is ready quickly, thanks to my favorite kitchen gadget, the Instant Pot! Some happily pastured ground beef. Classically presented. With broccoli. It’s elevated. 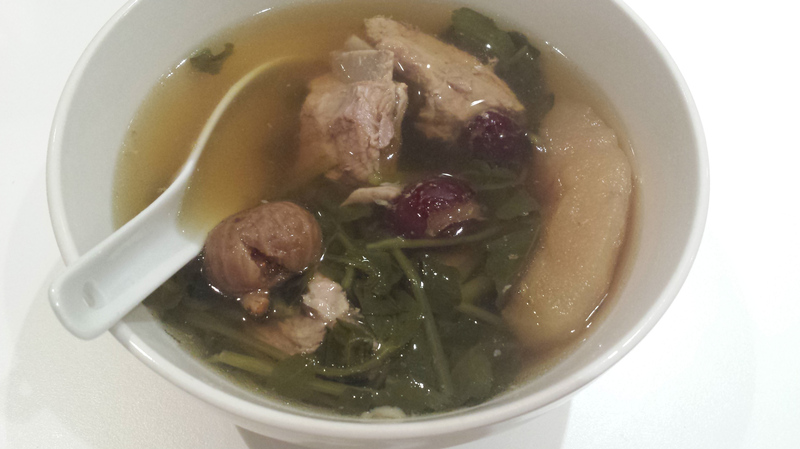 A bowl full of meat that’s full of comfort, exultation and well-being. 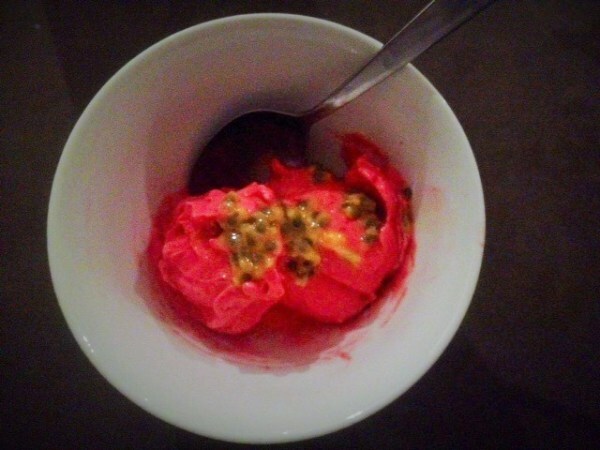 Holistic health coach Joanna Frankham responded to my question about comfort food this way: “I’m a Kiwi (yes, its true!) and if you don’t already know, that means that sheep outnumber people by about 7:1. 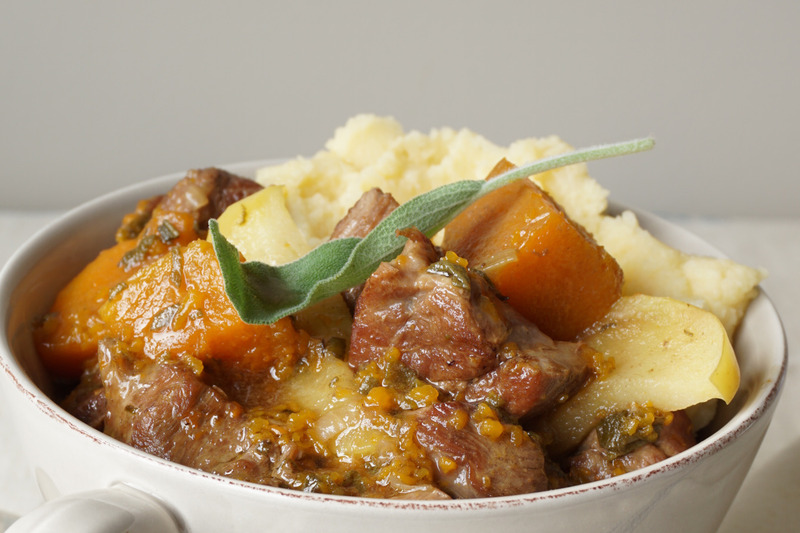 If I’m after comfort food, I can’t go past my lamb dishes. And, I wheel them out frequently. The only thing that makes them EVEN better is when I watch them in front of an All Blacks game!” Her favorite lamb dishes are these RIDICULOUSLY GOOD (her words, not mine – but I agree!) 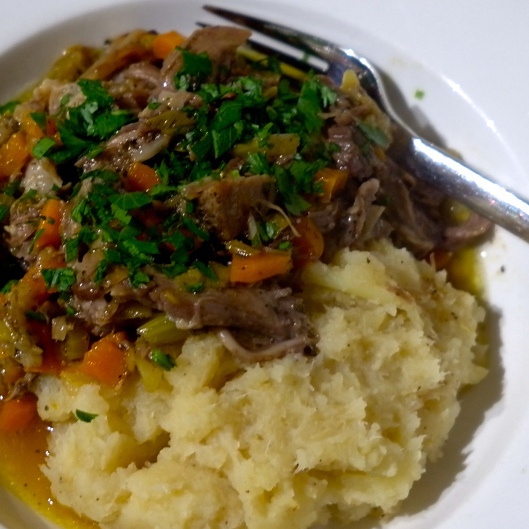 Herbed Slow-Cooked Lamb Shanks, a Jamie Oliver-inspired Four Hour Lamb, and another take on the ever popular Shepherd’s Pie. My friend Rory, better known as the Paleo PI, said “comfort food is something that makes me feel relaxed and content when I consume it. It has to be easy to eat (i.e. with a spoon or fork) and is something I eat in front of a good movie or reading a good book.” He added that anything with an ice-cream consistency usually hits the spot and shared this recipe for a healthy three-ingredient “Ice Cream” and this one for a sweetener-free Banana Coconut Pudding. If you want comfort food with a French flair, then you will love these contributions from Sophie of the blog a Squirrel in the Kitchen. 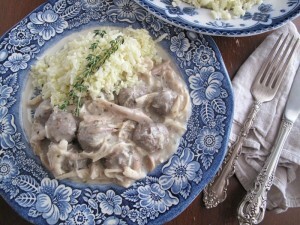 She told me this Chicken and Meatball Blanquette is a traditional French dish that her grandmother used to make for family reunions (and that the leftovers are even better – a classic trait of my comfort food in my opinion!). Sophie also said this Braised Belgian Endive with Bacon is a favorite dish she ate a lot when growing up in Belgium and rounded out her list of favorites with Honey Lavender Oven Baked Apples for dessert. You know where you can find a ton of tasty comfort food recipes, with modifications for making them quick and easy? Freezer Cooking for the Paleo AIP! Learn more about that incredible resource here! What an amazing round up! And perfect timing, too. As the days get darker and the nights get longer these are exactly the foods I want to have all in one place. Thank you, Jaime~.